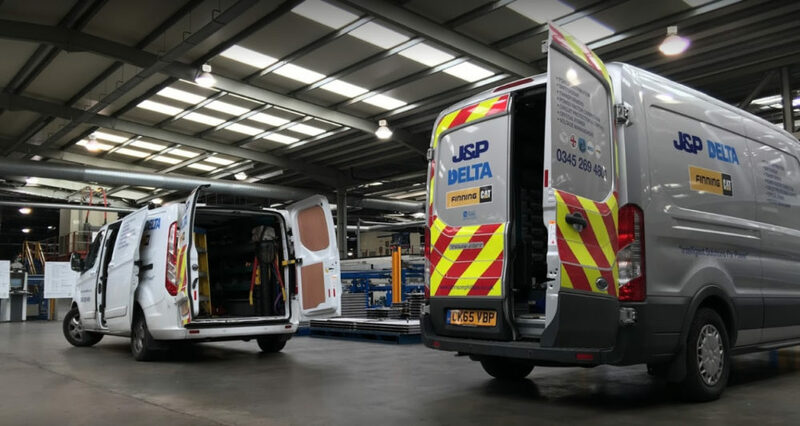 Johnson & Phillips are a UK provider of switchgear, power distribution, power network service, installation and equipment to 11kV, power management solutions and critical power solutions we serve a diverse range of customers. From a hospital to a super yacht, we have the power solution. And yes we are affordable, whatever the size of your requirement. We manufacture, we install, we maintain, we repair, we retrofit. We will even reduce your energy use. We also have unrivalled speed and ability for disaster recovery. We listen, we are different and we deliver! Delivering switchgear, critical power solutions and innovating solutions at the highest level in the industry, our business model integrates switchgear, power management, and all your local power distribution equipment. Johnson & Phillips offers a complete solution for every step and integration of your power distribution network. Established in 1870 with years of leading-edge experience, the Johnson & Phillips brand is synonymous with quality, reliability and innovation, and our custom engineered products ensure that value added functionality is built in to every project. From small-scale one-man band to multi million pound projects, we hope you will make Johnson & Phillips your first choice. When you depend on your power, you can depend on Johnson & Phillips 24/7 365 days a year. Johnson & Phillips provide power distribution support services from planned maintenance to high voltage systems installation and service. We are fully self supported and do not use sub contractors. We manufacture Switchgear, Power Factor Correction and Voltage Management Systems. We can reduce your energy use and also support you when the lights go out 24/7 365. We cover the whole of the UK. We have case study after case study, from providing intelligent advice, to rebuilding a switchboard on site at a hospital after a catastrophic flash over (in 3 days too). We have 10 fully equipped service/installation vehicles covering the UK. If you are a one-man band or a multi national multi site customer we have the solution and a service second to none. If your site is of sufficient size the chances are you will own what we call a “private 11kV Distribution Network”. With this comes huge responsibility; 11kV-experienced personnel must look after this network. Whether you have a single transformer or complex supply network, you can rely on Johnson & Phillips to safely deliver this responsibility. We can provide advice, maintenance, installation, cable jointing, Fault finding, transformer testing, energy reduction and transformer services. Unlike many other high voltage companies in the UK, we work closely with the Vandamme Lift Lorry, which is a HIAB Hire in South Wales but travels nationwide. This means we are able to get any transformer to you wherever you are in the UK.